You should buy some gold and silver. Very therapeutic in turbulent times. Kind of like guns, wine and fire are for me this crazy fourth of July week. Remember when the stock market crashed in 2008 and governments across the world were in full panic mode? Especially the idiots in the USA. If you don’t remember, go back and watch some CNBC or even fake news CNN youtube clips of reporting during that period. Try to feel the panic that was setting in while Ben Bernanke was scaring Congress and everyone else saying that the world as we know it was going to end if they didn’t start stacking the cheese and printing money. If you’re a precious metals pro, congratulations, but I’m sorry today’s lesson is not for you although I did include a cool picture at the bottom you may want to stick around for. But, let’s face it, you already possess wisdom beyond your years. Please take a minute and share this article on your Twitter or Facebook page or email it to a friend because it really helps me find more smart readers like you. Today’s lesson is for those of you on the fence about buying gold and silver for the first time. Go back to imagining the 2008 crash. As you relive or imagine what it would be like to be back in the 2008 crash, imagine that it actually mattered to you in a big way. Imagine you had a good job, a house, a family to support, typical stock market investments, ETFs or retirement funds. When you realize today’s markets have been pumped up with funny money so sky high and the floor can be so far down, things might get pretty scary. I bet you can even see 2008 happening all over again. I can. But I’m not worried. My heartbeat does not increase at all when thinking about it. Now if you find yourself worried while imagining a 2008 scenario, you are not properly prepared. The properly prepared people know panics, corrections and crashes are usually good things in the long run. They cleanse the country of bad debt, bad businesses and bad investments. But Bernanke didn’t allow that to happen last time and instead printed trillions of dollars to save the crowd who made bad choices. This time around it could be worse. So for those of you who do feel a little worry, the question I have for you is how much do you want to depend on the system to have your back? And why would you want to participate in any panic that may come? Don’t depend on the system. You, like me, probably sense that you need the kind of insurance the average member of the human herd does not have. A big part of that insurance should be physical gold and silver that no government can print on a whim. And you want to start accumulating this insurance before you need it. Before the general public realizes they need it. Because the general public is always late to the party. By the time they get to the party, the line is out the door. In the crash of 2008, gold coin and bar demand just about doubled from the year before and physical metal was hard or expensive (in the form of paying a large premium) to get. Since that eye opening event, overall physical precious metals demand has gone up even more. When the next crash happens, you might not be able to get your hands on any physical bullion. Get your greedy precious metals paws on it now. There is a crazy sense of calm you feel after you’ve built up a war chest of gold and silver. It allows your brain to be insulated from going into panic mode with the rest of the unprepared herd and instead think rationally and see clearly in crashes. Of course, buying gold and silver is as easy as dialing up 1-800-822-8080 and telling Miles Franklin that you are a first time precious metals buyer and Hunter Riley III sent you. Ask them to set you up with my broker. You can then tell your precious metals broker your specific investing goals and they will suggest the right form of gold and silver that fits those specific goals. This is your best bet since I am not a wizard and cannot read your mind. If you are in to doing things on your own, here are a few precious metals forms you may want to begin buying. American Gold and Silver Eagles are produced by the United States Mint. The 22 karat gold eagles come in four sizes from one troy ounce all the way down to a tenth of an ounce coin with face values ranging from fifty dollars to five dollars. The silver eagles are only available as a one ounce coin with a one dollar face value. 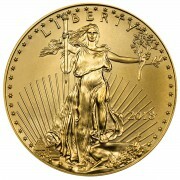 Both American Gold and Silver Eagles are considered “legal tender”. I guess if you were completely insane, you could take a one ounce, $50 face value gold eagle and buy a mid-range bottle of Brunello Di Montalcino at Whole Foods. Of course, at today’s gold eagle price that would mean you were paying around $1320 for a fifty dollar bottle of the best strain of Italian red wine in existence. The Banfi Vineyard in Tuscany makes my favorite bottle of Brunello in case you were wondering. For those of you who aren’t completely insane, these “legal tender” coins are exempt from IRS form 1099-B tax reporting and precious metals dealers usually don’t have to report the sale of your eagles when or if you decide to cash them in. Both coins are also IRS approved for individual retirement accounts. And although I wouldn’t recommend it, you may be able to play dumb and convince customs at the airport that you were just carrying $5000 worth of “legal tender” out of the country instead of the $132,000 worth of gold in $5000 of face value American Gold Eagles. Now you may be wondering about karats and why I would tell you to buy a 22 karat gold American Eagle when you could buy a 24 karat gold Chinese Panda. A karat is a unit that measures the purity or content of the gold in the coin. The higher the karat, the purer the gold. 24 karat is the highest karat number. Any coin that is 24 karat contains the purest gold but is also softer and less dense than a coin with a lower karat number. American Gold Eagles are 22 karat gold and contain about 91.6% gold and 8.4% copper-silver alloy. This added copper-silver alloy makes the coin more durable. This also causes the eagles to weigh a little more than their stamped gold contents because they still contain one troy ounce of gold in addition to the weight of the added copper-silver alloy. 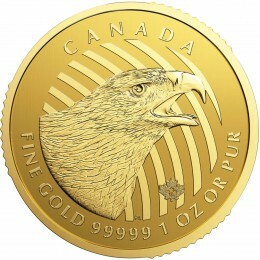 You are still getting one troy ounce of gold in each American Eagle even though they are only 22 karat gold. They just weigh a little more than the 24 karat coins. American Silver Eagles contain one troy ounce of silver and are made of 99.9% pure silver and 0.1% copper to make the coin more durable and less likely to scratch. Now since you’re a smart reader I know you must be thinking to yourself, “Wait Hunter, what the hell is a TROY ounce?”. A troy ounce is the standard measurement for precious metals but it does not weigh the same as your typical ounce. An ounce of sugar does not weight the same as a troy ounce of silver. A troy ounce weighs 31.1 grams and a regular ounce weighs 28.35 grams. I don’t frickin know. It’s a rabbit hole of debate. Something to do with kings or Romans. If you find out the exact answer, tweet it at me here. It’s the 4th of July here in Door County, Wisconsin. Everyone is running around like maniacs. Waiting in long lines. Last minute frantic planning. I’m not. I already did that stuff. Now I’m about to go open a bottle of Brunello, light a fire and blow some things up. 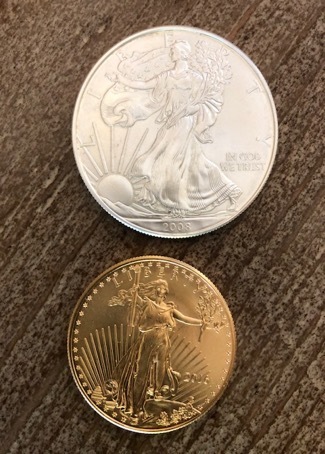 So I’ll wind this post down for you but I’ll leave you a quick overview of two more types of gold and silver to consider investing in. I promise to expand on them further in my next article, but if you just can’t wait, call up Miles Franklin now and they will give you the expert advice on both of these precious metal investments. JUNK SILVER The most popular form of junk silver are circulated US coins that were minted before 1965 that have no collectible value over the value of the silver they contain. Many coins minted in the United States before 1965 contain anywhere from 35% to 90% silver. You can buy this junk silver for its “melt value” in bags of mostly dimes or quarters. At minting, these kinds of coins contained about 0.7234 ounces of silver for each face value dollar. Through normal wear and tear, the coins have probably have lost some of that silver content over the years. 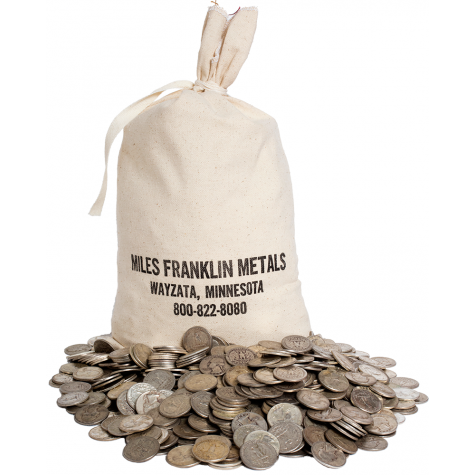 To make up for that loss, the market has set the standard that 0.715 ounces of silver is now the going rate for each face dollar of value which means a $1000 face value bag of junk silver contains about 715 ounces of silver if it was melted down. Anytime I get change, I always check it for any coin with a 1964 or below date because that coin is junk silver and worth more than its face value. NUMISMATICS In the world’s #1 best selling gold and silver book Stack Silver Get Gold, I basically tell you to stay the hell away from numismatic coins. 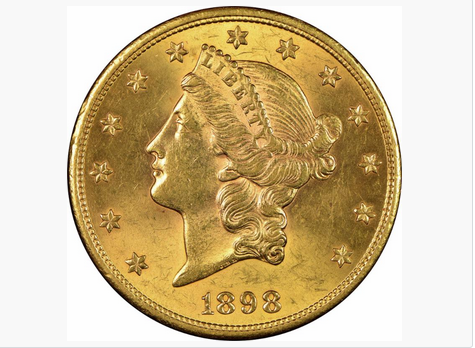 Numismatic coins are any coins that are collectible, historic or rare in some way. The numismatic industry is full of pitfalls, scams and sociopathic monkeys who have no problem ripping senior citizens off, in other words, not great for beginning precious metals investors. But there are exceptions. 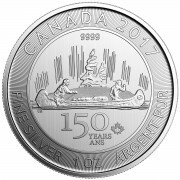 And today, in July of 2018, we are witnessing one very big exception that has to do with the ultra low cost of the premium you pay when you buy a numismatic coin. The premiums are actually close to, even with or lower than the premiums you pay for Gold Eagles. You can listen to Andy Schectman, founder of Miles Franklin, talk about that with me here in a recent interview. That’s good for now. If you have questions, dial up Miles Franklin. They’ll treat you like they treat me or I won’t write for them anymore. 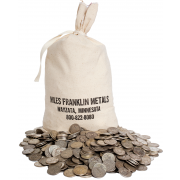 Miles Franklin is the best in the precious metals business so I doubt that will happen. I got the gun out, opened the Brunello, lit the fire and am getting ready to light some fireworks while everyone else is waiting in line last minute to buy what is left of the brats, beer and sparklers. 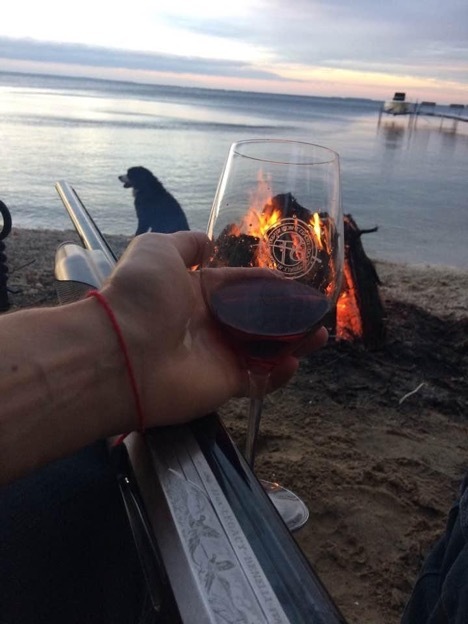 Just guns, wine and fire. I really should have included some gold and silver in the picture.